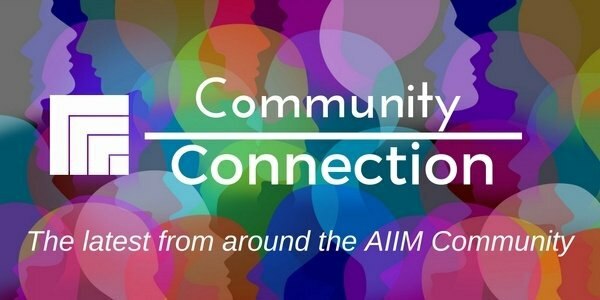 I have some awesome new educational resources to tell you about, but first I'd like to extend a very special invitation for you to join the AIIM Online Community. This online forum is the perfect place to engage in discussions with your peers, get your questions answered, find a mentor, find meetings in your area, and more! Check it out - it's THE place where the AIIM Tribe congregates throughout the year to lurk, learn, and reach out for – and give – assistance. Now on to more FREE stuff, here are a couple of great resources that have been recently published. Check them out below. 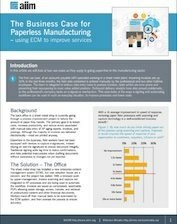 Take a look at e-signing and automating workflows in everyday situations to improve processes and lower costs. Then, learn how paper-free systems can help shore up data security and protect sensitive information. 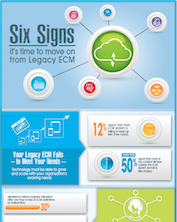 Learn the how to assess your current ECM solution and identify the 6 signs that it could be holding you back from your organization's goals. 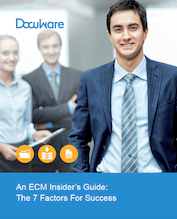 Learn how to plan your ECM project goals appropriately and avoid costly, time-consuming trial and error. How Should We Think About Modernizing Information Management? A lot has changed recently in our industry. 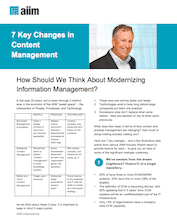 This tip sheet takes a look at 7 key changes and how they can help guide the way we think about modernizing information management. 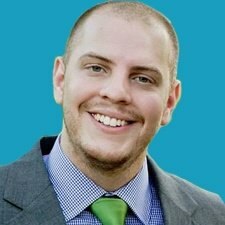 I hope you find these resources helpful. Don't hesitate to let us know how else we can help make this year a success!